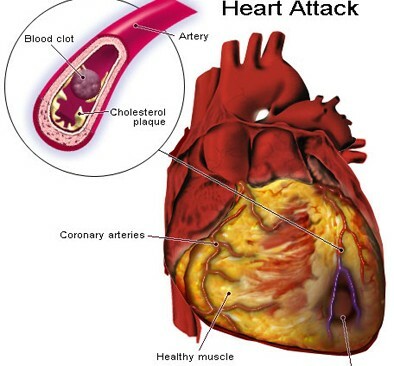 Each and every year 1.5 million people suffered from heart attack and due to this 500,000 people die. This survey takes in America and Heart attack is one of the leading causes of death among peoples in America. If 500,000 peoples in America has died then what will be the condition for other counties?. In this article I have given the tips on how to survive a heart attack when alone. First you have to know the symptoms of Heart Attack. It is recommended that everyone — untrained bystanders and medical personnel alike — should learn how to do CPR. It's far better to know something, at least, than know nothing at all if you're fearful that your knowledge or abilities won't be 100 percent complete. Remember, the difference between your doing something and doing nothing could be someone's life. What if it becomes the case where you are the victim, then what happens? How will you save yourself? Let’s say it’s about 7.25pm and you’re going home (alone of course) after an unusually hard day on the job. You’re really tired, upset and frustrated. Suddenly you start experiencing severe pain in your chest that starts to drag out into your arm and up in to your jaw. You are only about five km from the hospital nearest your home. Unfortunately you don’t know if you’ll be able to make it that far. Maybe you have been trained in CPR, but the guy that taught the course did not tell you how to perform it on yourself. Also, after regaining some consciousness, the victim can dial his/her country's health emergency number, in a case where there's no hospital nearby. 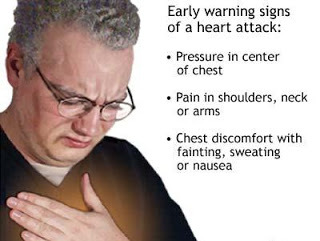 These are the definite warning symptoms of heart attack but large percentage of heart attacks are not accompanied by these symptoms. They come any one of the following symptoms or in combination with other symptoms. 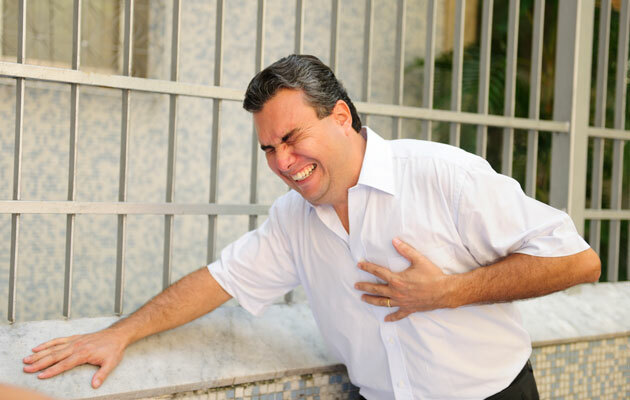 Many people suffer from heart attack when they are alone. At that time there is no one to help them and lost their conscious within 10 seconds. The below tips can help you to handle the situation. Should you experience a heart attack – regardless of whether you’re alone or in the presence of others – the very first thing to do is to call for emergency medical help. You need specialised treatment to be delivered to you as quickly as possible in order to save your heart muscle. “Should you be alone when a heart attack occurs, stop whatever you’re doing, proceed to a safe place to rest and call for medical help. For example, if you’re driving, first pull to the side of the road and call for aid,” advises Dr Chin. Large studies have also shown that taking an aspirin – the most commonly taken blood thinning medication in the world – during a heart attack improves survival. Could taking nitroglycerin – a prescribed medication that temporarily widens blood vessels to improve blood supply to the heart – also help? Dr Chin says, “Nitroglycerin has not been shown to prevent heart attacks or improve survival substantially during an attack. It is more useful for patients with angina, an altogether different condition where patients experience chest pain or discomfort when exerting themselves." Angina results from an imbalance in the supply and demand for blood to the heart, but it is due to a narrowed blood vessel and not to a clot that needs to be broken down. Taking nitroglycerin during such a situation may temporarily expand the narrowed blood vessel and relieve discomfort. Coughing repeatedly: A breath and a cough must be repeated about every two seconds until help arrives or until the heart beating normally again. “In rare cases where the heart beat is very slow from an abnormal reflex mechanism, coughing may help restore normal heart rhythm – but this is not what happens in a heart attack." Similarly, applying pressure on the chest area during a heart attack is unlikely to help unless the person’s heart has stopped beating (also known as a cardiac arrest). When this happens, CPR (cardiopulmonary resuscitation) should be administered – ideally by someone who is trained to do so. Breathe deeply: A deep breath helps to get oxygen into the lungs and cough helps in blood circulation. Try to keep relaxing. After getting normal condition, immediately go to the hospital or call ambulance.